When the age of digital electronic scoreboards arrived in Australia in the early 1980s the classic MCG scoreboard – built near the turn of the 20th century – was not knocked down or left to rot. 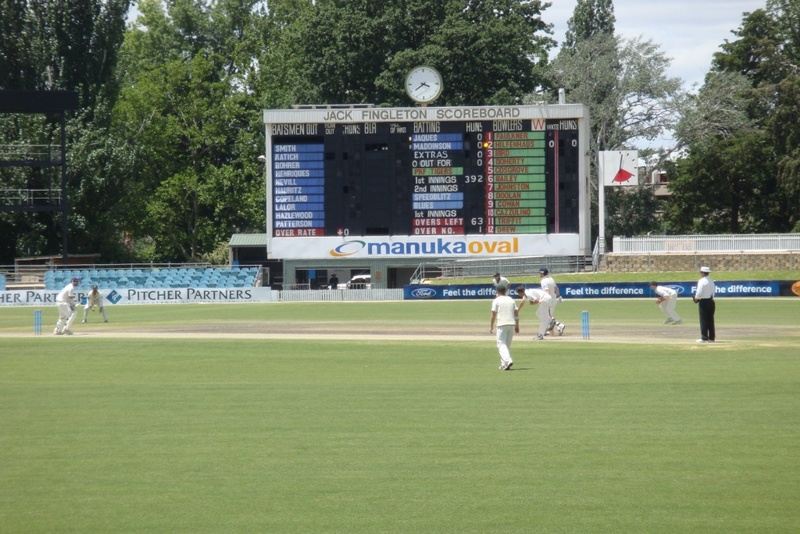 It’s now part of Canberra’s Manuka Oval and it was looking a treat when Glenn Dawson took these photos during a Sheffield Shield game in December 2011. 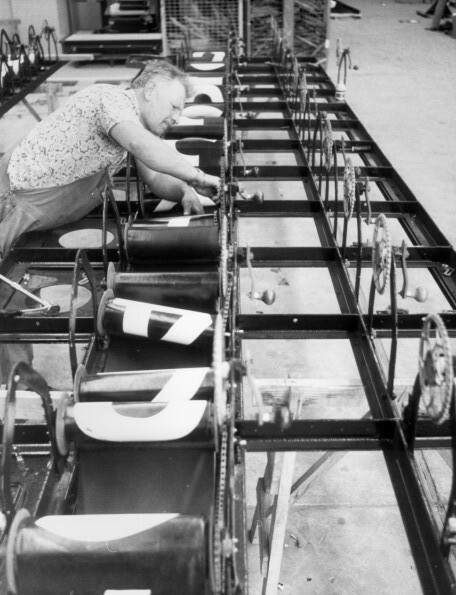 Walter Kariuk of Griffith working on a section of the old MCG scoreboard in a warehouse in Queanbeyan before it was re-constructed at Manuka Oval. Photo by Glen McDonald, November 1982. Photo courtesy of the ACT Heritage Library and the Canberra Times Collection. Manuka Oval has been integral in the life of early Canberra, its history filled with a host of events and functions that today would seem rather unusual, including tennis matches, sheepdog trials, athletic carnivals and military celebrations. Although both rugby league and union have a rich history at Manuka Oval, Australian rules football and cricket are the major and best-known tenants. 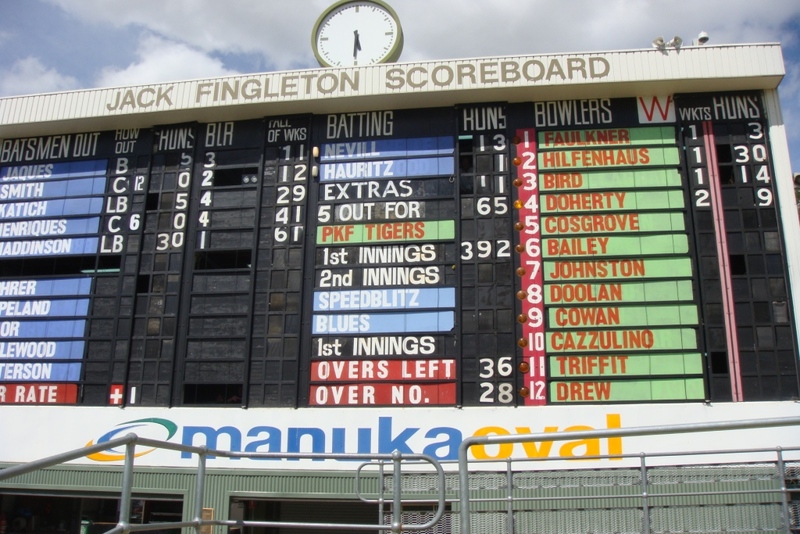 The annual Prime Minister’s XI cricket match in January and a handful of AFL games in winter are played under the gaze of the Jack Fingleton Scoreboard, named after the 1930s Australian opening batsman who made his career as a political journalist in the corridors of old Parliament House, just kilometres away. At the dedication ceremony for the scoreboard in 1982, Governor-General Sir Ninian Stephen said that Fingleton was not merely a Test cricketer who became a parliamentary journalist in the national capital, but was “an institution” in Canberra. Photo by Glen McDonald, November 1982. 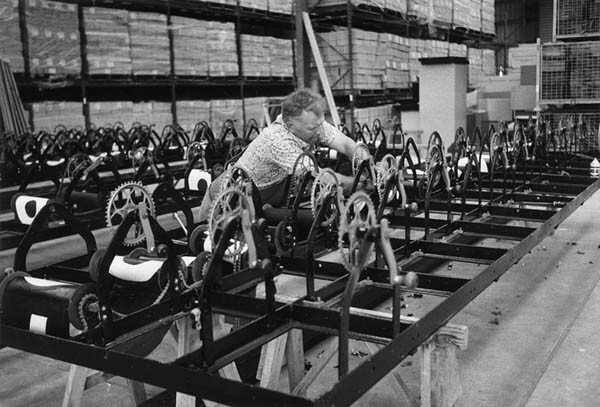 Photo courtesy of the ACT Heritage Library and the Canberra Times Collection.